"The Only Manufacturer of Customizable Commercial Pool Slides"
Our philosophy is to design and make one of a kind pool slides. For over 25 years we have provided thousands of pool and water slides worldwide. We are the gold standard. In an era of increased concern for our children's safety, our pool and water slides present a whole different approach to the slide, literally. Our pool slides are designed with safety, strength, and durability that greatly exceed federal guidelines. 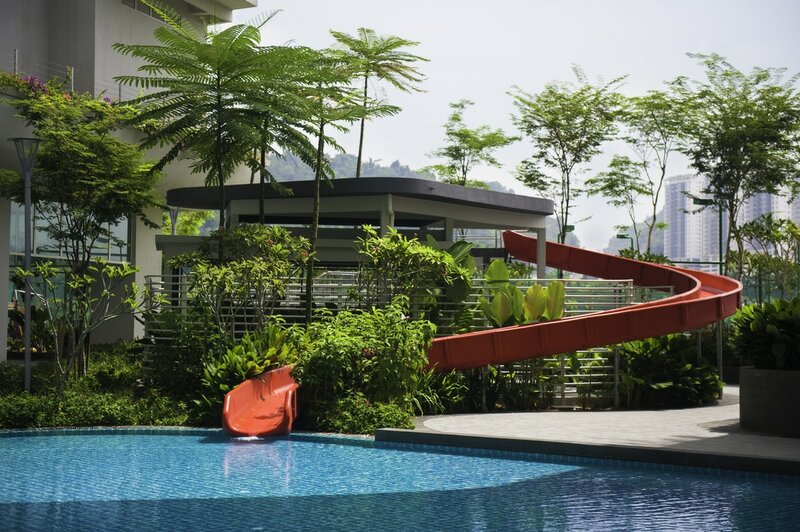 Our customers tell us how important it is to customize their pool slides. In ground swimming pools come in all shapes and sizes. The best option is to create a slide for your specific swimming pool. 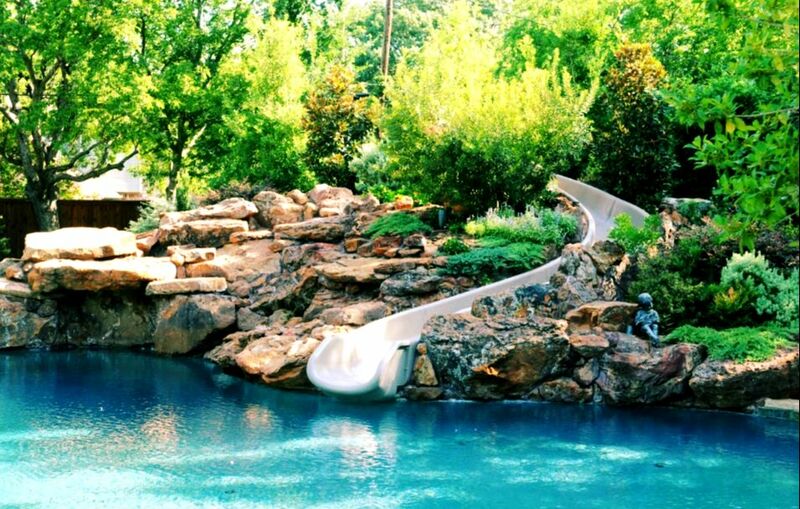 We build the pool slide to fit your needs and now you have the chance to create a slide that is special. Performance of our rotational molded polyethylene exceeds all other slide materials. Our pool slides are heavy-duty and make for superior high-end residential slides for in ground pools. Do not be misled by cheap fiberglass imitations. Acquire the very best water slides available for your backyard or Olympic size pool. Feel free to explore our website at POOLSLIDE.COM. 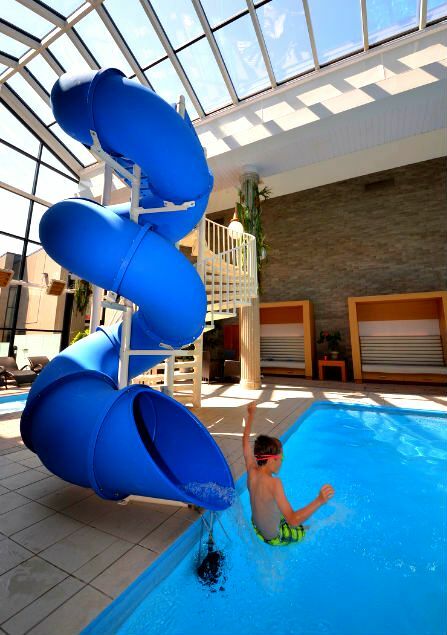 We offer a extraordinary line of pool and water slides. Look around and let us know if you see what you like. Our goal is to work with you and or your pool professional to create the most sensational pool slide. We never compromise. Our Signature Slides go above and beyond industry standards. Over 20 Years of Serving Families, Businesses, and Communities Worldwide. Our Polyethylene Out-Performs All Other Pool Slide Materials. Exclusive Heavy-Duty Platforms Not Available Elsewhere. We care about our slides and most importantly our customers. A dedicated team of industry professionals are here to help. Let us create a pool slide customized just for you. Copyright 2019 Summit-USA, Inc. All rights reserved.